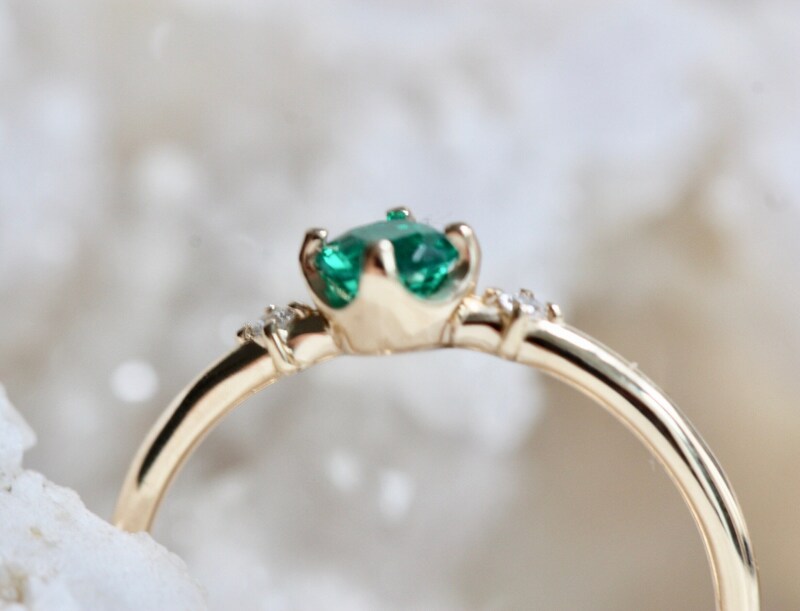 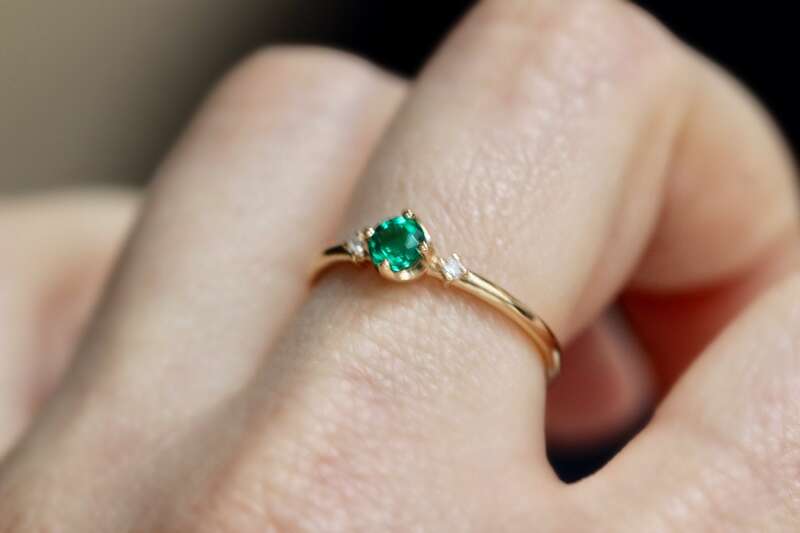 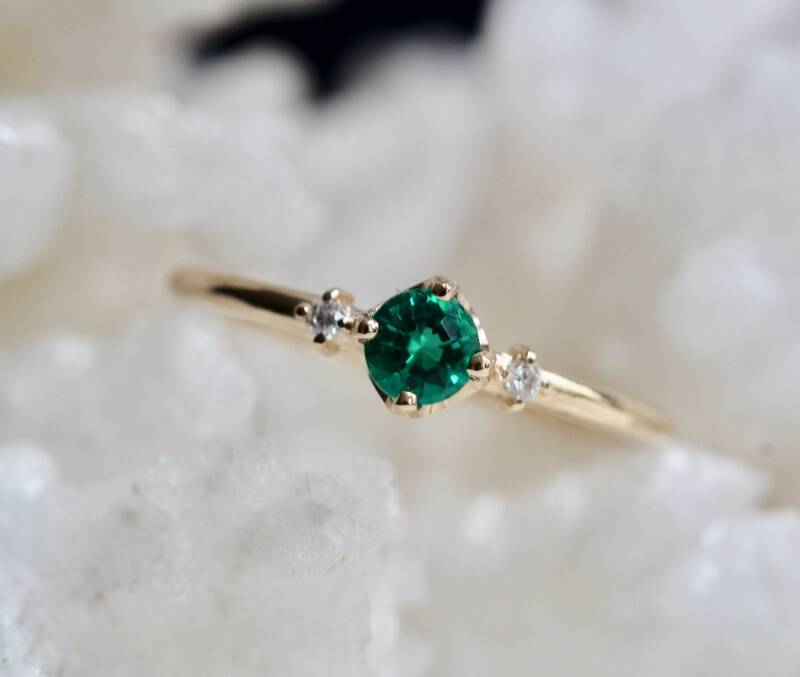 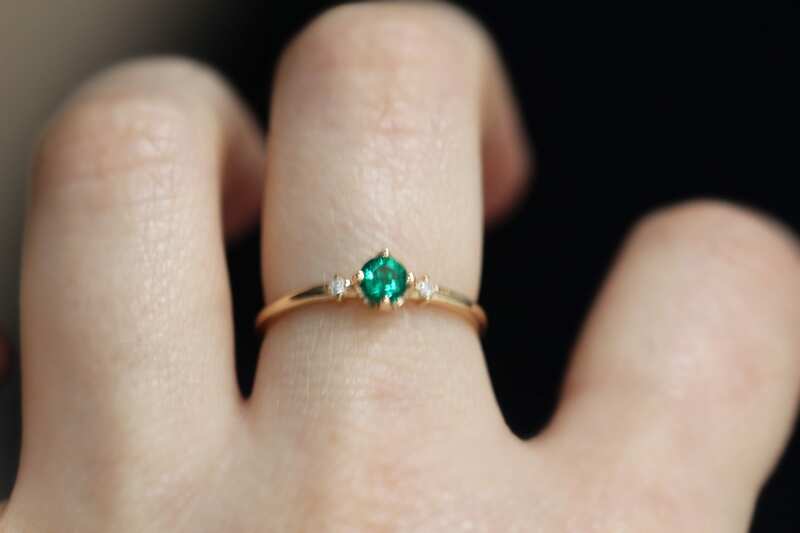 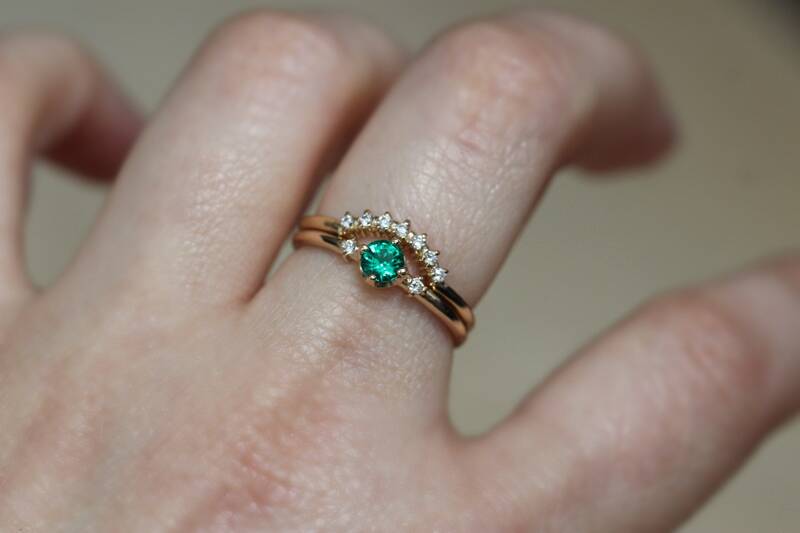 Our lovely emerald ring is so sweet and pretty! 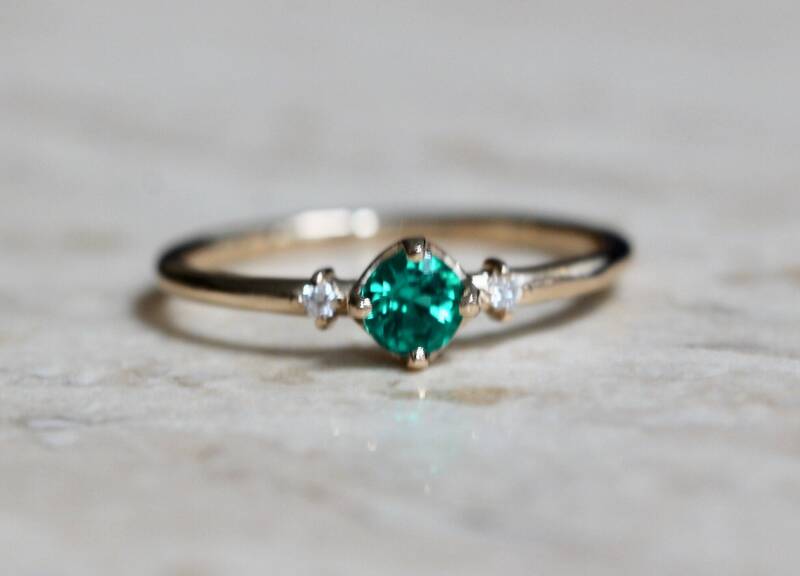 A perfect promise ring for that special someone or a great gift. 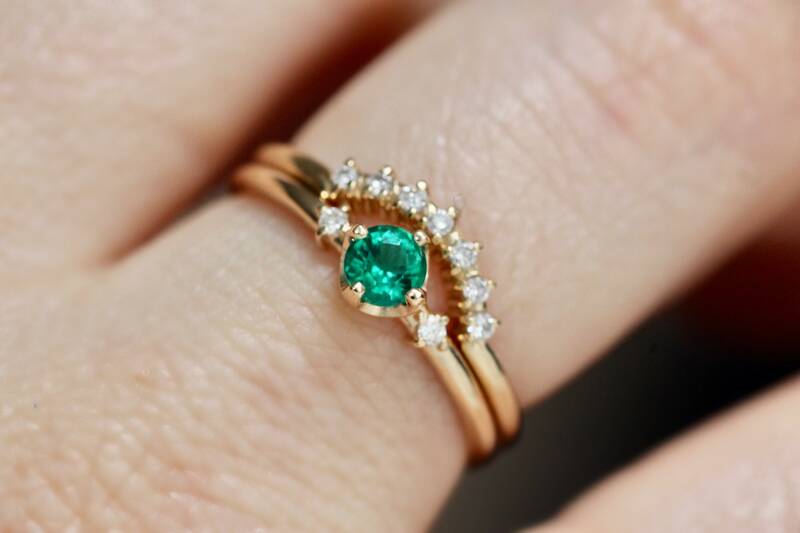 These emeralds are gorgeous! 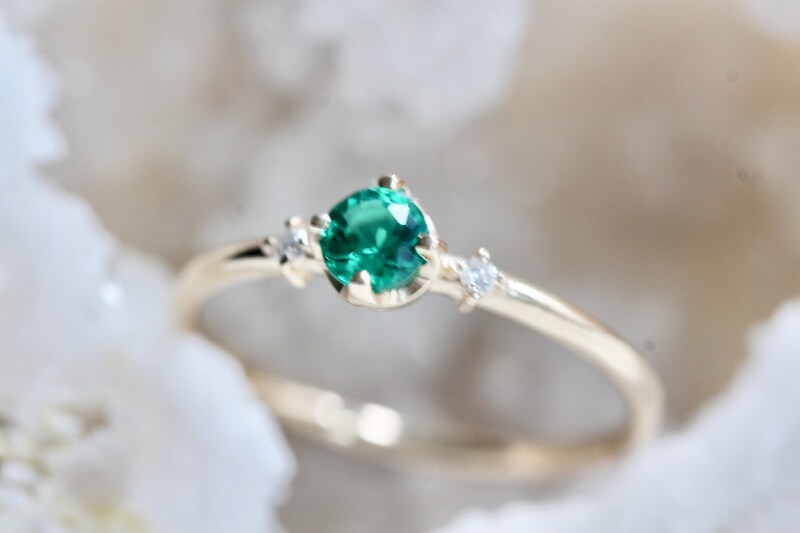 - Handcrafted out of solid 14K yellow, rose or white gold. 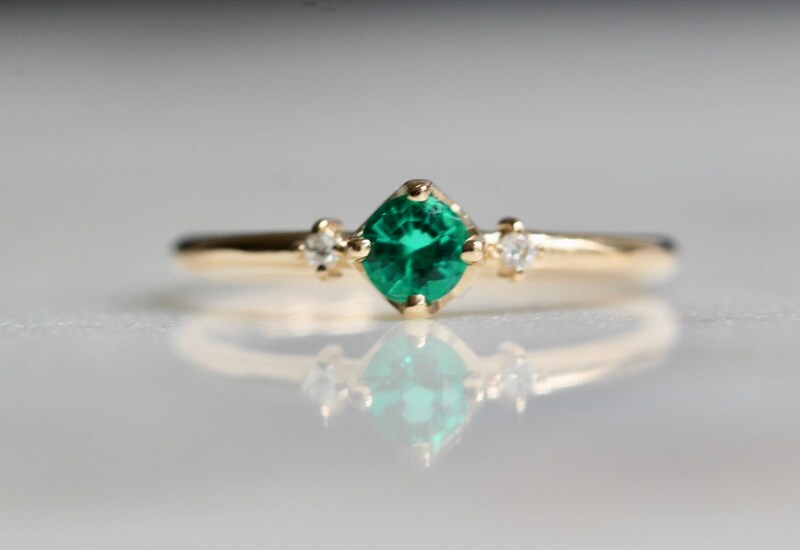 - Chatham Emerald stone measures 4mm across.